I love the staff and how helpful they are, the pool was great. The food is okay. I mean everyone has their own preference. Nice and cool pool, perfect for cooling down in after touring the temples. Lots of interesting geckos around. The staff was really nice. And they prepared early take away breakfast for us since we were leaving for tours before the breakfast serving guests time. The beds were really comfortable. And they do have bikes for free use of the guests. Exactly as expected. Overall pleasant experience. Large clean rooms with air conditioning and king size bed. Awesome stay for the price! Great pool. Clean comfortable room. Friendly staff (but one). Helpful with printing tickets and booking airport transfer. The staff were fantastic, the breakfast was very good and the pool was nice. The bed was big with a super good mattress for an excellent night of sleep . The staff was generally friendly and helpful. There was a big group of volunteers staying at the time so we were the only other guests . Our kids enjoyed the pool and had a great time interacting with the volunteers. 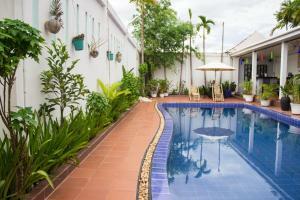 Kind and helpful staff, good location a couple of km away from the center, nice swimming pool. Great value for the money. Breakfast was served at the pool, very casual setting. Staff made all arrangements for tours and travel to our next location. 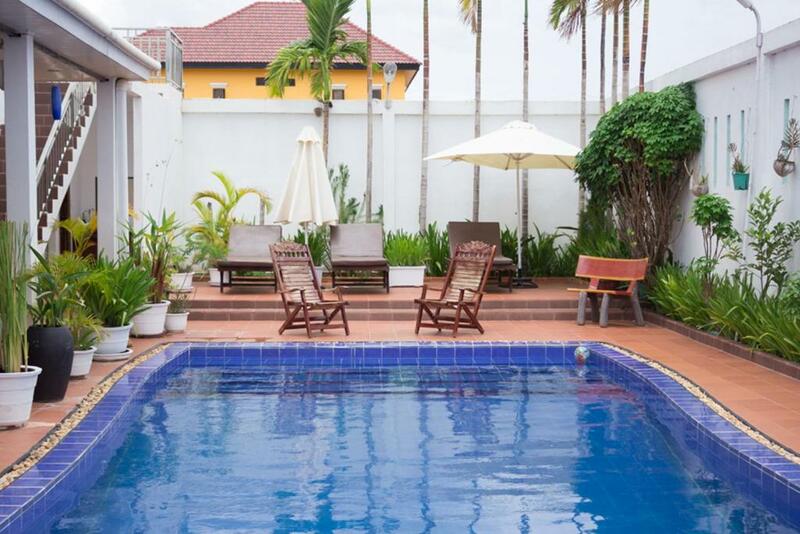 Lock in a great price for Overflow Guesthouse – rated 8.3 by recent guests! 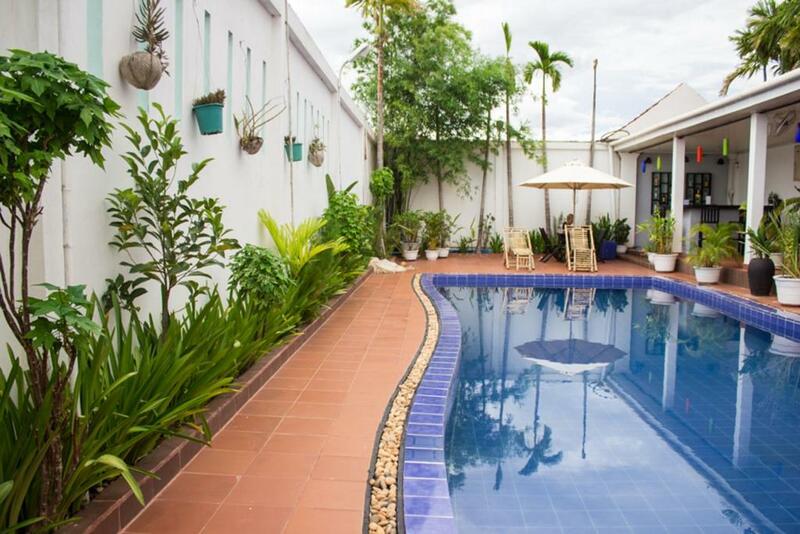 Overflow Guesthouse This rating is a reflection of how the property compares to the industry standard when it comes to price, facilities and services available. It's based on a self-evaluation by the property. Use this rating to help choose your stay! 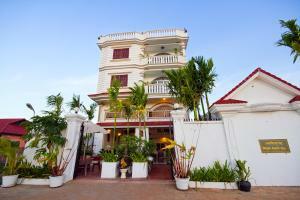 Quietly located away from the hustle and bustle of the city, Overflow Guest house offers accommodations in Siem Reap. It features an outdoor pool overlooking sunrise and sunset views. It is located conveniently within a 10-minute drive to the city center, the Old Market and the vibrant Pub Street. It provides free WiFi access and offers complimentary parking on site. Air-conditioned rooms are furnished with a wardrobe, a safety deposit box, a fridge and an LCD TV with cable channels. Rooms come with a private bathroom that includes hot/cold shower facilities and free toiletries. Guests can approach the 24-hour front desk for personalized tour and travel arrangements, luggage storage and laundry services. Complimentary use of bicycles and car hires are available for guests who wish to explore the surrounding area. 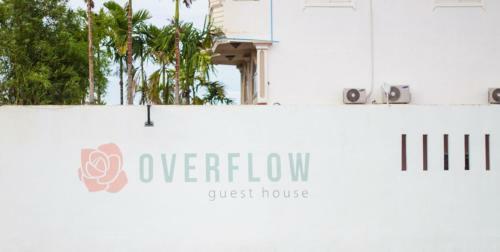 When would you like to stay at Overflow Guesthouse? 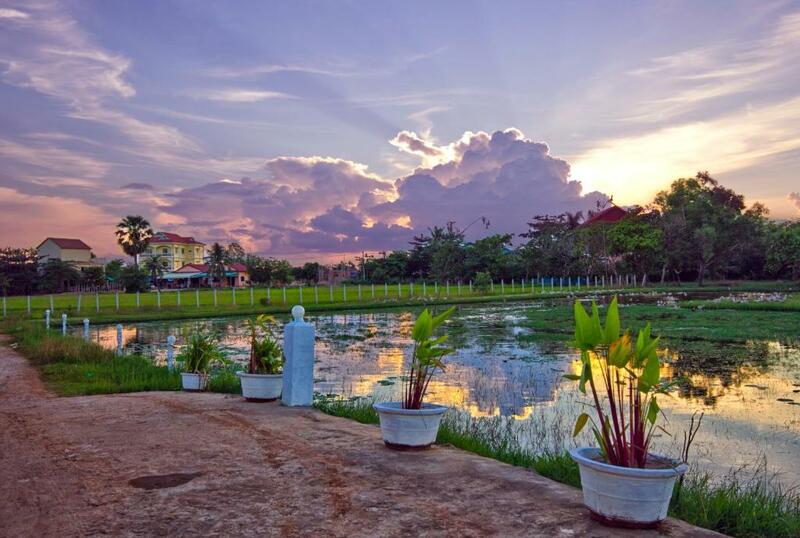 Natural Angkor Villa is a quiet, peaceful guesthouse situated conveniently within an 8-minute drive to the heart of Siem Reap. Free from air and noise pollution, you can appreciate the calming atmosphere we hope to provide. 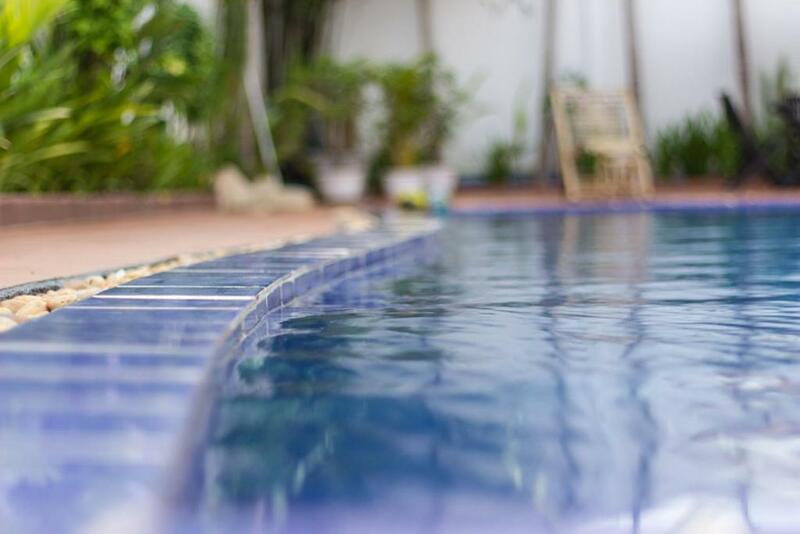 Featuring an outdoor pool, air conditioning, wifi, flat-screen tv, private bathrooms with hot shower, daily breakfast and complimentary pickup from the airport, we hope to make your stay a very pleasant one. The guesthouse is only 10km away from the UNESCO World Heritage Site of Angkor Wat Temple with daily tour trips available and we are just 4km away from the award winning Angkor Golf course. I have been working in four star hotel since year 2007 until now. I love working with people. Located 2.5km from the city center, we are in a quiet neighborhood free from air and noise pollution. Lily ponds surround us. The rooftop affords an amazing view of the sunrise and sunset. House Rules Overflow Guesthouse takes special requests – add in the next step! Overflow Guesthouse accepts these cards and reserves the right to temporarily hold an amount prior to arrival. Please note that the hotel offers complimentary pickup services from the airport or bus station. Guests are required to provide arrival details in advance using the Special Requests box available or contact the property directly with details in the Booking Confirmation. Complimentary breakfast is served daily from 07:00 to 10:00. Please inform Overflow Guesthouse of your expected arrival time in advance. You can use the Special Requests box when booking, or contact the property directly using the contact details in your confirmation. safe box is not working. quite place. nice swimming pool. Location is just little far away. Unable to flush toilet paper, however initially not provided with bin in bathroom, then bin provided had no lid. Unhygienic. Also no porta-cot available. The bed sheets was a bit dirty but it's okay with me. The room is spacious. The hosts were welcoming, and breakfast was delicious. There were 5-10 dogs right next door that seemed to always be barking. Nothing really within walking distance and for dinner you either had to ride a bike in the dark to town, hire a tuk tuk $5-6 return, or order from 3 delivery menus. Staff were very friendly and helpful. Guesthouse kept beautifully clean. Lovely quiet location. The room are not cleaned daily and the towels are not changed daily unless specifically requested. When we arrived after our first day out there were a room with a cockroach on the floor and another bed with a bug in it (although the hotel is next to swamp - so these are extenuating circumstances). The place is a bit far from the city centre but provided a very tranquil environment which was great for relaxing. Also, there was no elevator so bringing my bag up to my room was a bit of a challenge. 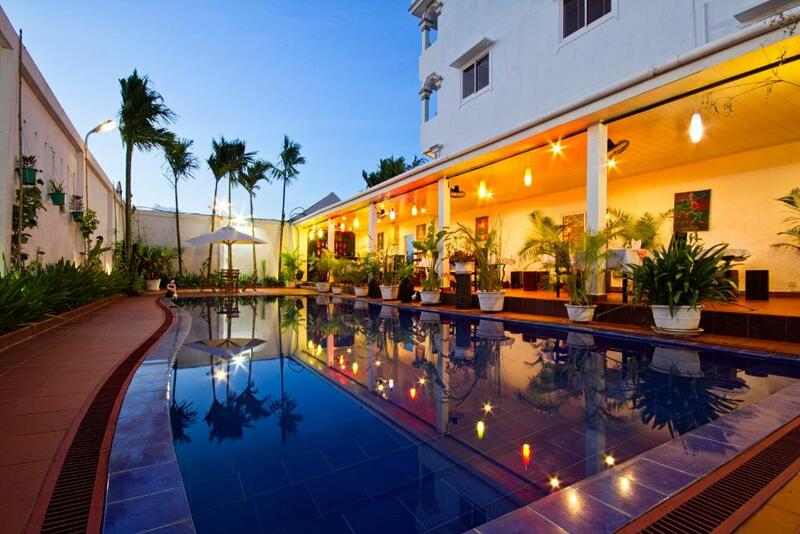 The hotel was clean with spacious rooms, good air conditioning and a decent sized pool. The staff was very accommodating and provided a menu for food and was very helpful in arranging transportation. Luggage service was also available and we even got to borrow towels and use the shower even if we had already checked-out. Staff were very friendly and helpful. They booked tours and tickets for events, which were all clear and good value. It is a small, family friendly guest house, the pool was clean, food was good. Also they will order takeout from other restaurants for you. Excellent value for money. Slightly out of town, which meant a rural feeling, so peaceful - which was exactly what we were looking for. It is still in easy tuktuk distance of downtown. Friendly & helpful staff (calls tuk-tuks for you). Pool is nice. Restaurant is fine.